Gourmet Chef Jonathan Bennett, prefers Adams Reserve New York Extra Sharp Cheddar. He has used it for more than 10 years as owner and head chef of four successful restaurants located in Cleveland, Ohio and Miami, Florida. 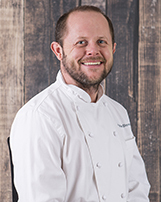 A graduate of the prestigious Culinary Institute of America, Chef Bennett insists that everything should be fresh and natural for peak flavor, aroma and texture. “I can’t find a better, naturally-aged sharp cheddar that out performs Adams Reserve,” said Bennett. He has created over 100 signature recipes with our award-winning cheddar.